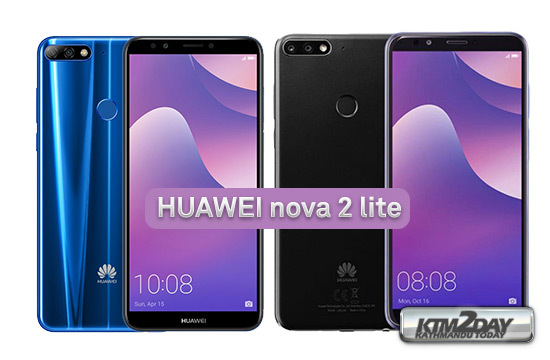 Huawei today launched their newest contender in the budget smartphone market — the Huawei Nova 2 Lite. The company’s latest Nova hopes to recreate the craze that the Nova 2i did in the mid-range market last year. Only this time, it hopes to do it in the budget segment. This phone was launched 6-7 months ago in other Asian markets and Huawei has finally decided to launch it in Nepal. The design is now somewhat outdated, so does it’s hardware specs and the pricing of the handset . 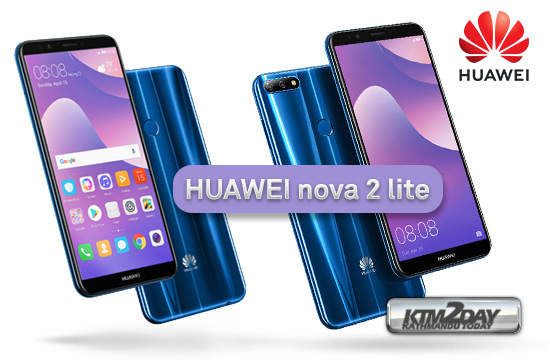 Huawei Nova 2 Lite The phone comes with a 5.99-inch touchscreen display with a resolution of 720 pixels by 1440 pixels.The Nova 2 Lite borrows some of the design cues of the Nova 2i. It has a unibody design, slim profile, and a seamless metallic chrome side. The Huawei Nova 2 Lite is powered by 1.4GHz Snapdragon 430 octa-core processor and it comes with 3GB of RAM. The phone packs 32GB of internal storage that can be expanded up to 12.8GB via a microSD card. Flipping the device over reveals the slightly protruding dual rear cameras, consisting of 13MP + 2MP shooters accompanied by an LED flash and a 8-megapixel front shooter for selfies. The Nova 2 Lite is light and easy to hold thanks to its form factor and rounded edges. The rear has a sand-blasted-like finish which adds flair to the device, however, it is not enough to keep fingerprints and smudges away. The Huawei Nova 2 Lite runs Android 8.0 Oreo and is powered by a 3000mAh. It measures 158.30 x 76.70 x 7.80 (height x width x thickness) and weighs 155.00 grams. The Huawei Nova 2 Lite is a dual SIM smartphone. Connectivity options include Wi-Fi and Bluetooth. Sensors on the phone include Compass/ Magnetometer, Proximity sensor, Accelerometer and Ambient light sensor. Huawei has set the pricing of this handset at Rs.23,900.